Yes! I am 40-years-old now! It has been such a great month of celebration. Yesterday, on my birthday, I took Madison for a walk, and I told her that it was my first walk of my 40th year! It was a great time, because I thought about all of the wonderful things in my life. I also had a chance to reflect on my 30s, and I though about all of the crazy things that have happened! In my 30s, I finished and wrote a dissertation and graduated with a PhD, taught a few hundred students, found a full-time job, finished a manuscript, made some great friends, took care of my dad, lost two grandmothers, experienced the joyful event of my best friend's little girl being born, went to my first professional writer's conference, became secretary of my local writer's group, made some crazy terrible mistakes (as we all do! ), found out some really interesting things about myself, had the courage to ask for help when I needed it desperately, became even closer to my mom (if that was possible! ), watched my family grow together, and so much more. In some ways, my 30s was a really hard decade. In others, it was the most enriching decade. 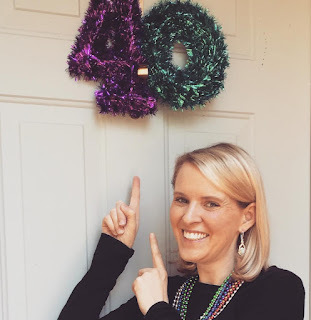 So, here is to my 40s! Yay!